Each year, The Car Guide announces its Best Buys in a wide variety of vehicle categories, in order to help the consumer make sound purchase decision. 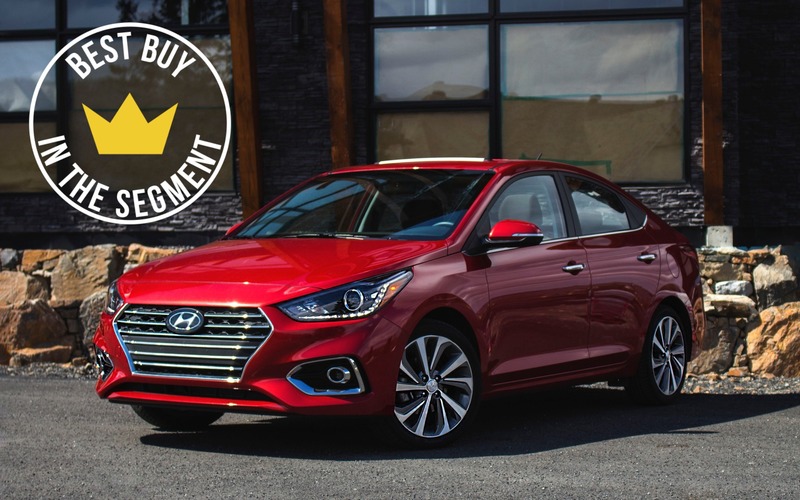 In the subcompact car category, the 2019 Best Buy title has been awarded to the Hyundai Accent. Freshly redesigned for 2018 and arriving on the Canadian market over the course of the year, the new Accent is still offered in four-door sedan and five-door hatchback body styles. More refined, but also boasting a more spacious cockpit, the Accent received the highest marks from our team of journalists during the voting process. Its 1.6-litre four-cylinder engine produces 130 horsepower and 119 pound-feet of torque. It’s available with either a six-speed manual transmission or an optional six-speed automatic. With the latter, the Accent consumes 7.4 L/100 km on the combined city/highway cycle, a 6% improvement over the 2017 model. We especially like its refined drive, giving us the impression of riding aboard a larger car, while its infotainment system, available seven-inch touchscreen as well as Apple CarPlay and Android Auto integration, are extremely simple to use. The Accent retails from $14,599 before freight and delivery charges, while the more equipped versions are listed at $21,299 and include, among other things, an intelligent key system, a heated steering wheel, a power sunroof and forward collision warning. It may not be the most fuel-efficient, the most exciting to drive or the most spacious, but as a whole, it’s the one that deserves the Best Buy title this year in the subcompact car segment. 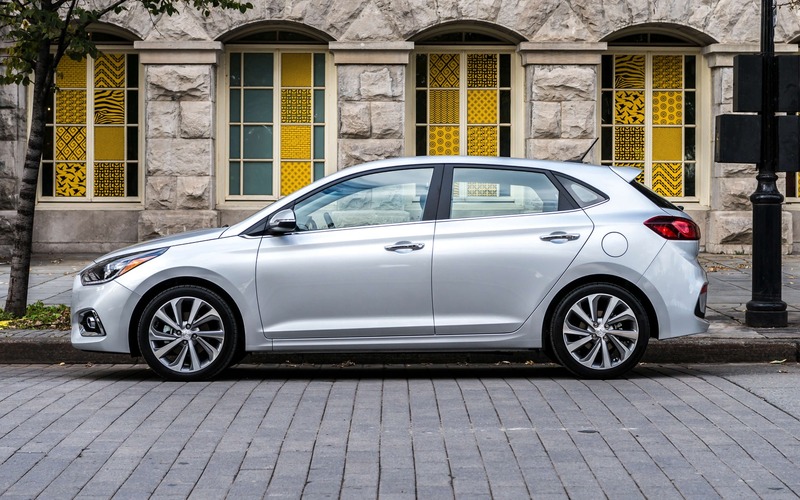 In second place, we find the Kia Rio (MSRP from $14,795), the Accent’s cousin, that also received a redesign for 2018. We like its excellent set of features for the asking price as well as its dynamic design. The Honda Fit takes third place (MSRP from $15,490), still as versatile as ever with its configurable Magic Seat system, its great fuel economy and its strong reliability record. As you all probably know by now, year after year, The Car Guide hands over awards to carmakers to underline the Best Buys of the industry. This year, we were treated to a wide variety of results, but more importantly, lots of surprises, especially from the German and Swedish brands.